I think summer's a pretty rough time for anyone with oily skin. Makeup seems to slip right off your complexion and you become a reflective surface by noon, despite your bounty of mattifying products. Skincare can work wonders in balancing out your skin and as usual, what I'm using this year is different to the products I used last summer. This last month or so I've found a few products in my collection that have turned out to be somewhat unexpectedly fab for the summer weather. I thought I'd chat about three of my faves and fill you in on why they're warm-weather heroes! Mario Badescu Facial Spray - I know I've ranted and raved about this product because, but it's one I was using more as a finishing spray as opposed to in my skincare routine up until recently. I thought since my skin was breaking out a bit more due to the heat, that my exfoliating toner would be the way to go. Turns out, my skin needed more R&R than I'd bargained for and this has proven to be a fantastic skin-soother. As an added bonus, if you do catch a bit too much sun on the one day (wear sunscreen, kids!) this works wonders at just cooling the skin and irritation down slightly. Also, and I know I say it every time, this smells amazing. La Roche Posay Toleriane Fluide - This is a moisturiser I've used on and off for absolutely ages. I seem to forget about it and then be surprised by its magical skincare powers whenever I do get round to repurchasing it. I bought this again recently purely to use under makeup for a slightly lighter base. This actually ended up really helping some of the minor breakouts I was experiencing. The formula is super super light and contains very few ingredients, making it a great pick for my sensitive skin. If you haven't tried this yet and you're looking for a super lightweight moisturiser for the warmer months, I highly recommend giving this a try! Kiehl's Ultra Facial Cream - I thought I'd leave this particular product firmly in the winter as it's definitely one of the heavier moisturisers in my skincare arsenal. When I got back from Barcelona recently, the sun coupled with the only very minimal moisturisers I was using had really dried my skin out (the joys of combo skin). I ended up reaching for this on impulse, hoping for a quick hydration boost and that's exactly what I got. I wouldn't use this during the day for summer but used in the evening, a few times a week, it works wonders at keeping things nice and balanced as far as hydration goes. 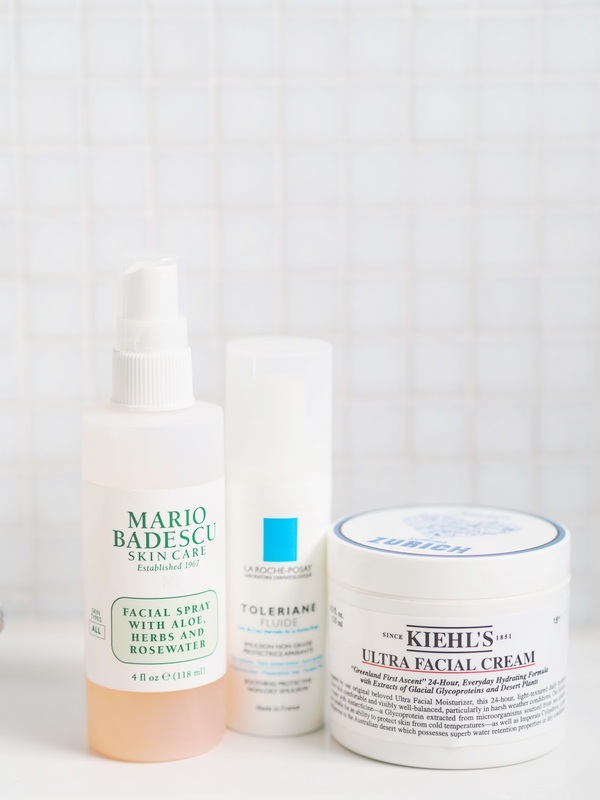 So there we have it, a little peek into the skincare heroes that have been saving my face lately. I always find skincare tricky so if you have any recommendations for combo skin I'd be very grateful! Kiehl's ultra facial cream is such a versatile product! I live in tropical country and I wouldn't wear it for day either but as you did, for night, it's such a blessing.